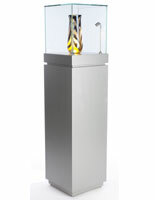 This illuminated museum pedestal with lift-off top is the perfect showcase for art galleries, jewelry stores, and other retail boutiques. 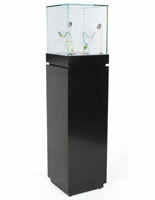 This display case with LED lights puts all the emphasis on displayed collectibles or artifacts. 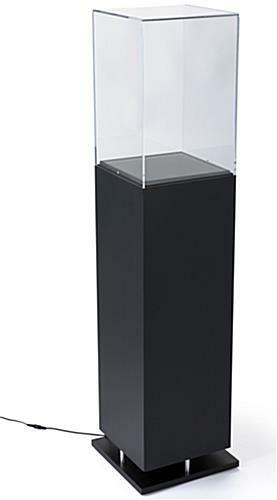 This museum pedestal with lift-off top is easy to access when the display needs to be updated. 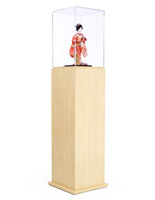 This showcase with a 17" clear acrylic topper uses ambient LED lighting to create an attractive glow around showcased items. 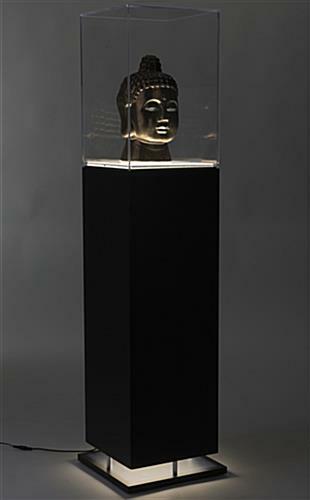 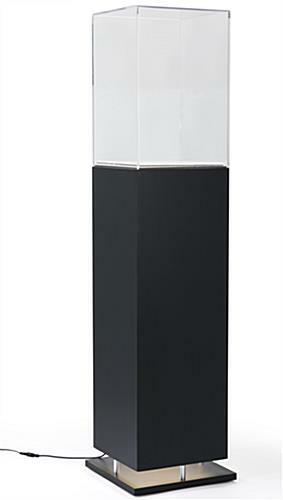 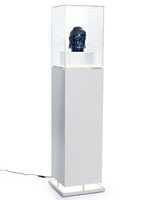 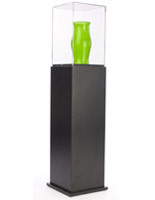 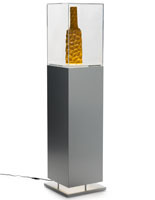 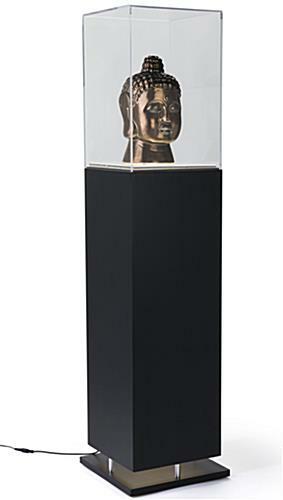 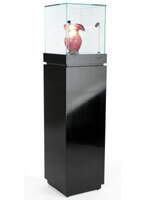 This pedestal with lift-off top has a sleek, black finish for a modern presentation in any decor.